Fall Shopping Tips-Welcome to PA DUTCH COUNTRY! Whether it feels like it or not, fall is on the way! There are many great places to shop for unique treasures in my area and if you are lucky enough to be in day trip distance, I'd like to share some with you! I generally consider myself in a PRIMITIVE hot spot. Farmhouse and shabby is plentiful in PA Dutch Country. One great thing about my area is that work and spending ethics of the prior generations led many to hold onto their items so we are good picking for not only primitives, but MCM as well. Some great fall shopping can start at the great flea markets and antique shows in the area. Renningers Antiques (renningers.net) hosts 3 EXTRAVAGANZA's throughout the year and the final weekend is September 22-24. The Kutztown location offers Thurs-Sat shopping and Adamstown, about a 1/2 hour southwest is open Sunday. Make sure your grab a $1 off coupon on their website towards admission! The market is all outdoors and vendors bring all sorts of goodies. Be prepared to wheel and deal! There is great food inside the farmers market to grab a cooler and take home some PA DUTCH delicacies. 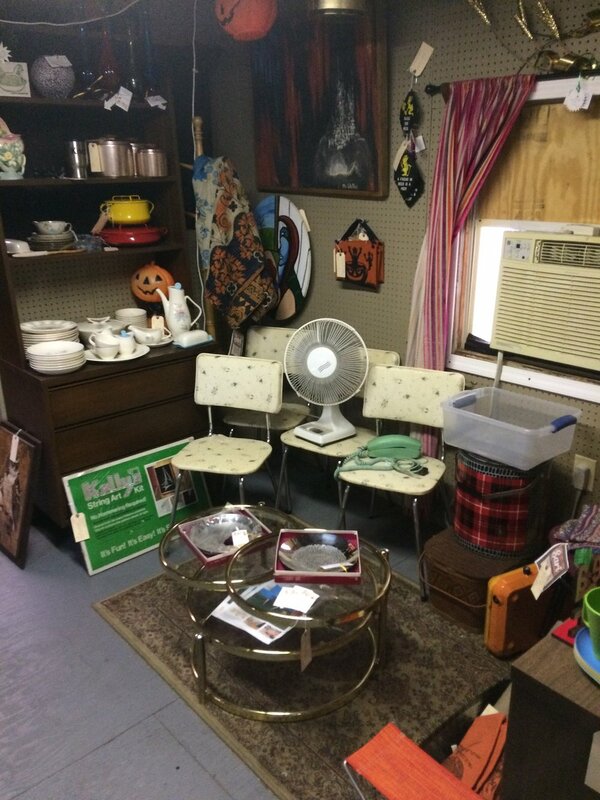 Don't forget to stop by Fleetwood Antique Mall, fleetwoodantiquemall.com just south of Kutztown! My space is on the 2nd floor, rear but there are a few others selling MCM so check them out! The mall has a very unique selection of curiosities and it is a fun stop. GRQ used furnishings is housed there at the moment as well so many nice things at reasonable prices. Another fun place to shop is Jakes Flea Market http://www.jakesfleamarket.com in Barto on Route 100 just north of Boyertown. Open Sat and Sun, the earlier you arrive, the better. By noon most vendors are packing up or already gone. Also pop in Fensty's Flea Market http://fenstysfleamarket.com which is just north as you head into Bally. This indoor market has just expanded and includes a bid board area, flea market and many vendors. They have hours Friday-Sunday, with an anchor shop, Another Man's Treasure, having some weekday hours. I hope you are able to get out and enjoy some fall flea markets and I surely hope things cool off soon around here! There is nothing like a good road trip and keeping your eyes peeled for thrifts and sales is so much fun. Not in my area? No worries! I ship almost everything in my inventory! I have been working hard the last few weeks and things are moving out. If you have your eyes on something, don't wait much longer! I still have some beautiful restored chairs looking for homes and many fun lights. Reach out at anytime with questions or to request shipping info. I am adding new items to the etsy shop often. Please check back. My eBay shop (eBay.com/usr/madmodworldvintage) is featuring new items I get from my wholesaler, Primitives by Kathy. Very cute items I feel enhance my brand. I just added a nice collection of cotton throw rugs/door mats I feel are perfect for home or camp! The booth space is stocked with Halloween and I just sold some larger items so added some new pieces. Getting ready to restore some ceramic Christmas trees and beef up my listings for the holidays! These beauties are still available! Check out the new items at the shop!